EaseUS Partition Magic is a comprehensive disk partition management tool which allows you to configure and manage partitions of your hard disk. With the help of EaseUS Partition Master, you can create and delete partitions on your hard disk with ease.It comes with a simple user interface which has all in it that a user wants. Partition Manager supports various file system including FAT16, FAT32, NTFS and can handle hard drives ranging from 2GB to 4TB. With a few clicks you can change labels, defragment disk and partition and can even create bootable CDs. 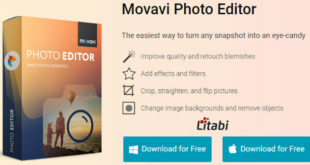 One of its most outstanding features is that you can move and resize partition live that is without erasing them or losing any data. It allows you to move entire hard drive to another disk without any need of Windows to be reinstalled. Apart from all this EaseUs Partition Manager also includes two other features Partition Recovery Wizard and Disk & Partition Copy to solve all partition problems under hardwareRAID, MBR & GPT disks, removable devices. The program allows you to drag and drop on the diskmap to simplify your job. – Converts primary partition to logical partition and vice versa. – Can Hide partition and wipe a whole disk. – Runs a disk surface test to find bad sector. The key operation includes creating, moving, deleting or merging partitions. These features can be accessed under the menu bar. When you open the EaseUs Partition Manager you would list of all the partition along with their properties. You would also see a left-hand menu that shows all the operation associated with each partition. For creating a partition you must have some unallocated space, if you don’t have then you have to first resize your existing drive to create unallocated space. To do so select the drive and click on Resize/Move option. A pop-up windows appears as such. Click on the ball-shaped handles on right/left of partition and move it according to your need. You can even grab the partition in its center to move it as a whole.Thevalue of the unallocated space before and after are changed synchronously. The disk map at bottom shows the result of your changes. We recommend you backup the data with EaseUsTodo Backup before doing this operation. If you don’t want data to be moved, create unallocated space on the right side of existing partition and click OK. The disk map now shows unallocated space. Select the unallocated space and click Create under operation. A pop-up window appears as such. 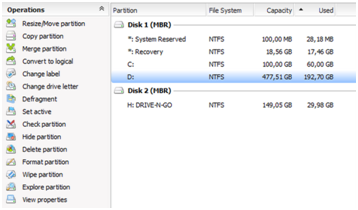 Select the partition label, file system, drive letter and cluster size. After doing all this still EaseUs does not create a new partition. None of the operation is immediate. They are all available in Pending Operation in the bottom left. You can undo all these changes via toolbar or General Menu if you want and once you are ready click on Apply to create partition. EaseUs is very simple to use with much advanced features and flexibility.With EASEUS Partition Master you won’t be afraid of creating, deleting, and formatting, moving andresizing partitions in your hard drive anymore.